Grw up with Panevezys (Lithuania) youth teams. Made his debut with Panevezys during the 2002-03 season. 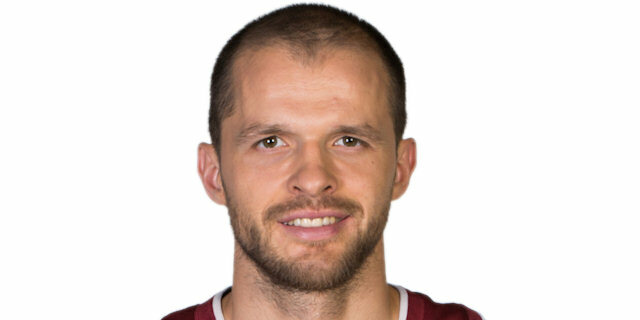 Signed for the 2003-04 season by Sakalai Vilnius, also played with Pieno Zvaigzdes Pasvalys, LKAL. Signed for the 2004-05 season by Akademija-MRJ Vilnius, NKL. Signed for the 2007-08 season by Nevezis Kedainiai. Signed for the 2009-10 season by Sakalai Vilnius. Moved to Italy for the 2010-11 season, signed by San Severo Basket, Legadue. In November'120 back to Lithuania, signed by Panavezys. Moved to Spain for the 2011-12 season, signed by CB Huesca, LEB Gold. Signed for the 2012-13 season by Breogan Lugo, LEB Gold. Moved to Lithuania for the 2013-14 season, signed by Nevezis Kedainiai. Signed for the 2014-15 season by BC Siauliai. Named the 2016-17 EuroCup Round 6 MVP. Won the 2015 and 2016 Baltic League with BC Siauliai. Won the 2014 Baltic League Cup with Nevezis Kedainiai.